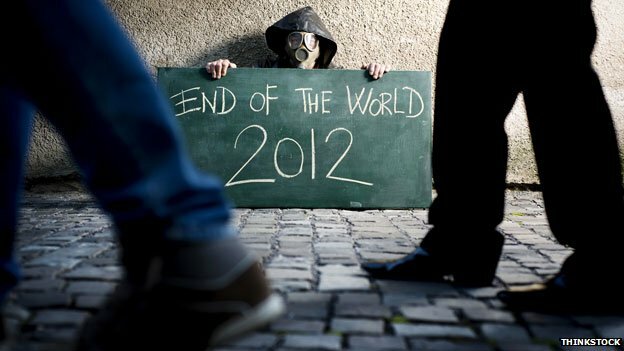 Image for the 2012 Mayan apocalypse fear from the BBC. “It is a very ancient pattern in human thought. It is rooted in ancient, even pre-biblical Middle Eastern myths of ultimate chaos and ultimate struggle between the forces of order and chaos,” says cultural historian Paul S Boyer, author of When Time Shall Be No More: Prophecy Belief in Modern American Culture. Around the world in preparation for today (according to time zones), survival pods have been built in China’s Hebei province and panic-buying of candles has been reported in the Sichuan province, whilst in Russia sales of tinned goods and matches have surged. Yet this is not unfamiliar: the Romans panicked at predictions their city would be destroyed in 634 BC, millennial fears gripped Europe ahead of the year 1000 AD, and during the English Civil War, groups like the Fifth Monarchists believed the end was nigh. The aforementioned are only a few examples of feared apocalypses. Recently, I’ve been studying John Donne’s poetic depiction of what he called the “new Philosophy”: the rise of observed, evidenced knowledge by thinkers such as Galileo and Copernicus which replaced the relatively stagnant, conventional knowledge of Aristotle. 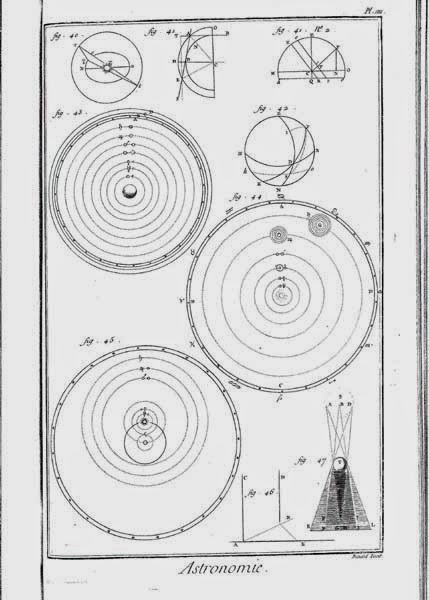 Donne followed new scientific proposals avidly, but he displayed concern for the consequences. When Copernicus declared that the sun was at the centre of the universe, Martin Luther responded, “The fool will upset the whole science of astronomy”. A similarly lamentable declaration is made by John Donne in “An Anatomy of the World”: “’tis all in pieces, all coherence gone”. On the surface, this poem marks the death of Elizabeth Drury (whom the poem is dedicated to), yet there is a much wider solemn vision created by Donne. It seems that Donne is not only marking Drury’s death, but also the deterioration of the world: it is repeated to be “a sick world”, a “carcass”, and that “from the first hour [did] decay”. To Donne, “so is the world’s whole frame/Quite out of joint, almost created lame”. Whilst Copernicus was, in fact, right about the earth not being at the universe’s centre, it’s not too likely that the world will end today. Maybe now that I’ve written this, it will, who knows. My apologies if it does. Nonetheless, Donne’s insecurity and concern can be compared to the frequent fears of modern humankind for the future, both in a personal, individual way, and in a “ahh, the whole world is ending”, collective way. Is this even serious? My thirteen-year brother, who is quite the worrier, seemed rather anxious going to bed last night. He pottered around the house, evading bedtime even longer than usual, and then wished me a good end of the world. Poor kid. He’ll probably be annoyed when he realises that he has to do his homework after all. I really should read Donne as I am very interested in the history of science and thought as well as in general ruminations upon those subjects! Thankfully we're all still alive! I've never read much Donne until recently, but I'm glad that I chose to focus on his work in my end of term essay. His poetry has so many interesting contextual layers, and there's so much to think about.